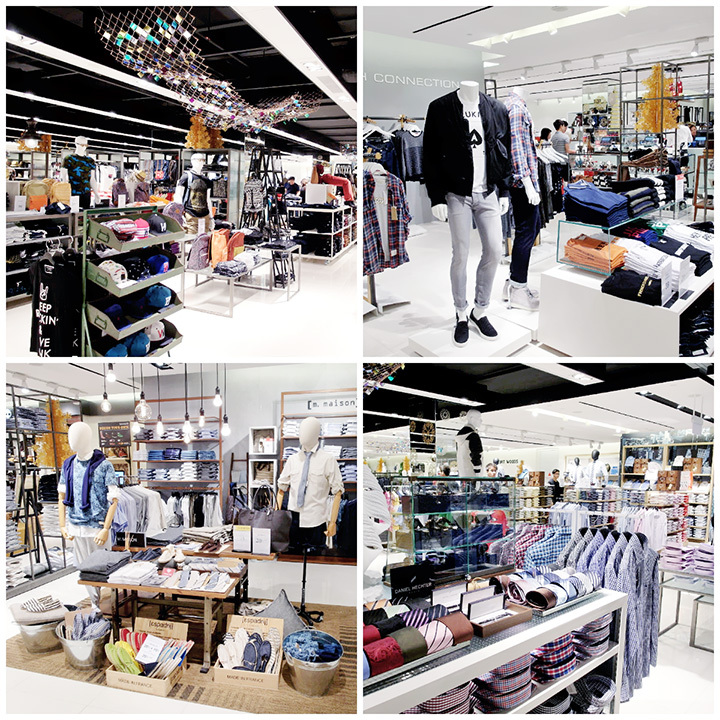 Congratulations on opening their fifth store and second full-line store in Orchard Road precinct! Was totally anticipating what was in store for us because I heard that at this new Metro located at Centrepoint, there will be new brands, which includes a new shopping and retail experience that will delight all shoppers. And I must say that I really enjoyed myself, shopping and exploring all the 6-level at Metro Centrepoint during the official opening! It was so much fun! 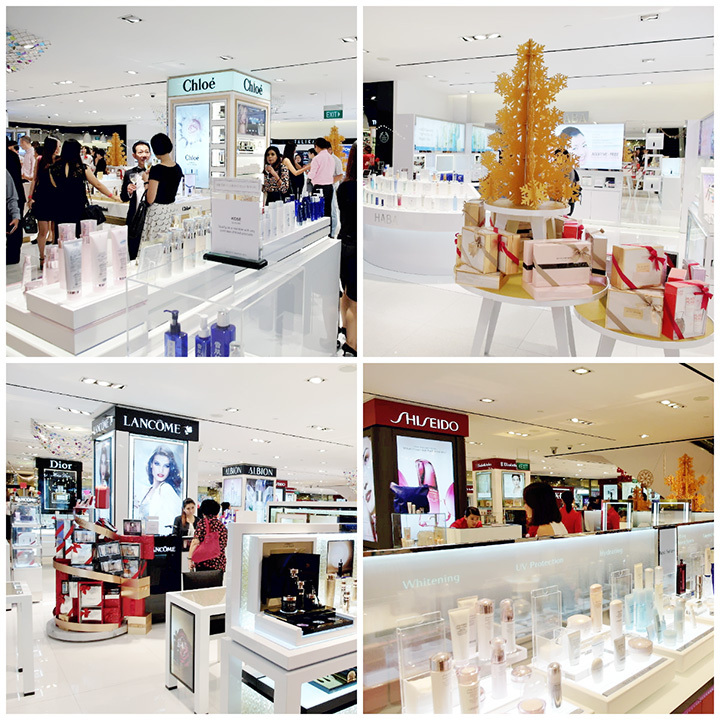 What awaits us at the first level, was the inviting and expansive range of prestigious cosmetics, fragrance and wellness brands! One of the main delight of the new Metro Centrepoint experience is the MD Dermatics Hands & Nail Bar, which provide pampering services such as manicure (Classic + Gel), pedicure (Classic + Gel) or even an invigorating foot scrub. Peishi was there at the official opening too and she's trying out the hand massage! I also gave it a try too and it was really good! Leaving with our hands soft and moisturised. Which has all sorts of apparels, intimates, shoes, handbags and other accessories for you ladies! I really like how they give the international brands an upgrade with new exciting additions with more fashion offerings than before! During the day of the official opening, there were even booths with flowers there for the shoppers too! 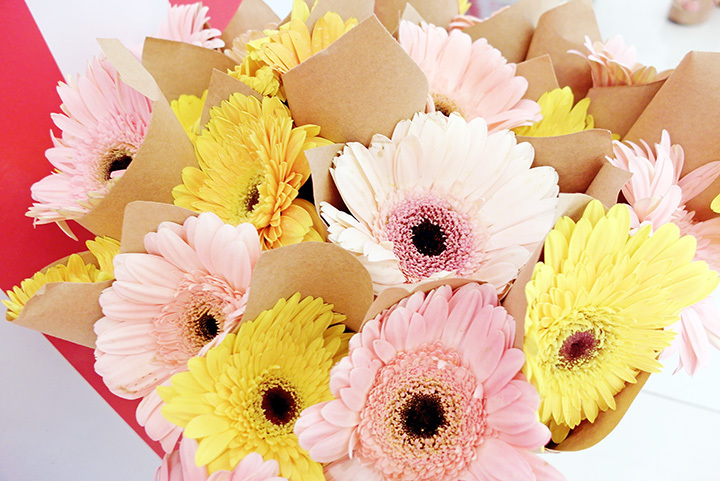 Look at how pretty all these gerberas are! Love the colours! On the escalator moving up to level 3! 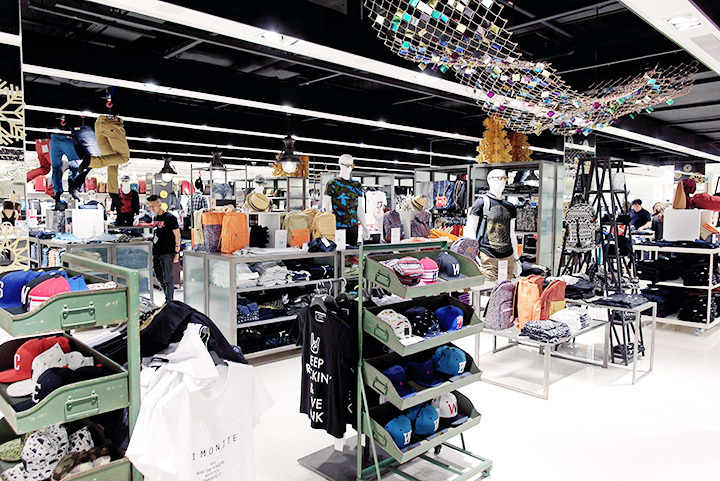 Then we are finally at the Men's department which houses fashion labels that are unique with their own signature designs and style that will form the foundation of all our wardrobe! 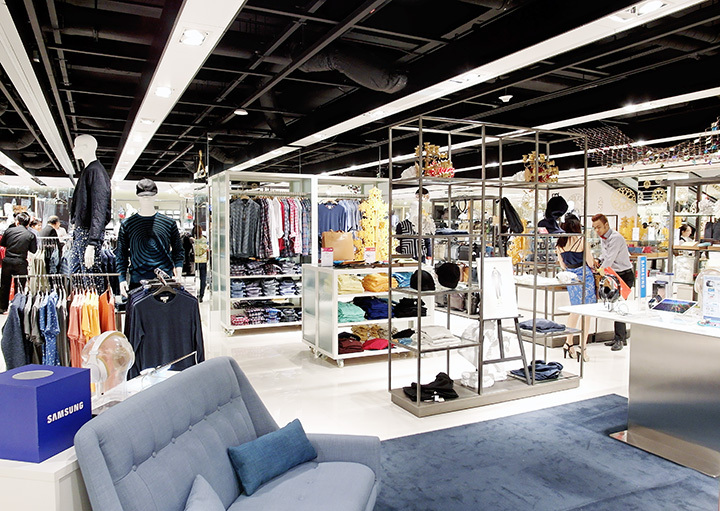 While shopping around the level, I realise they have five new private labels (Kurt Woods, Jo Burton, M.Maison, Kiro & University Club) that takes the centre stage apart from all our favourite international brands. 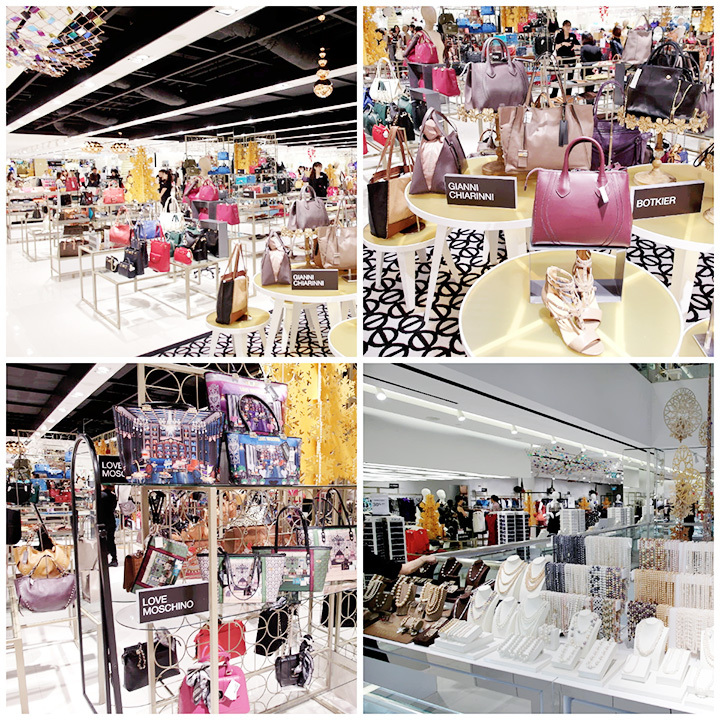 Personally I feel that it's really a good mix and we definitely will find something that suits us with such a vast selection of apparels, intimates, shoes, bags and accessories there! 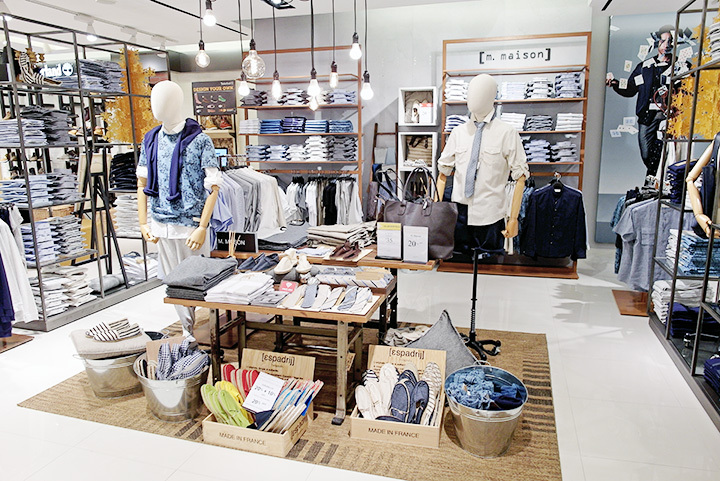 One of the five new private labels that caught my eyes was M.Maison. It's first-ever apparel line that is made up of understated cotton collection in hues of the weathered denim and indigo blues. 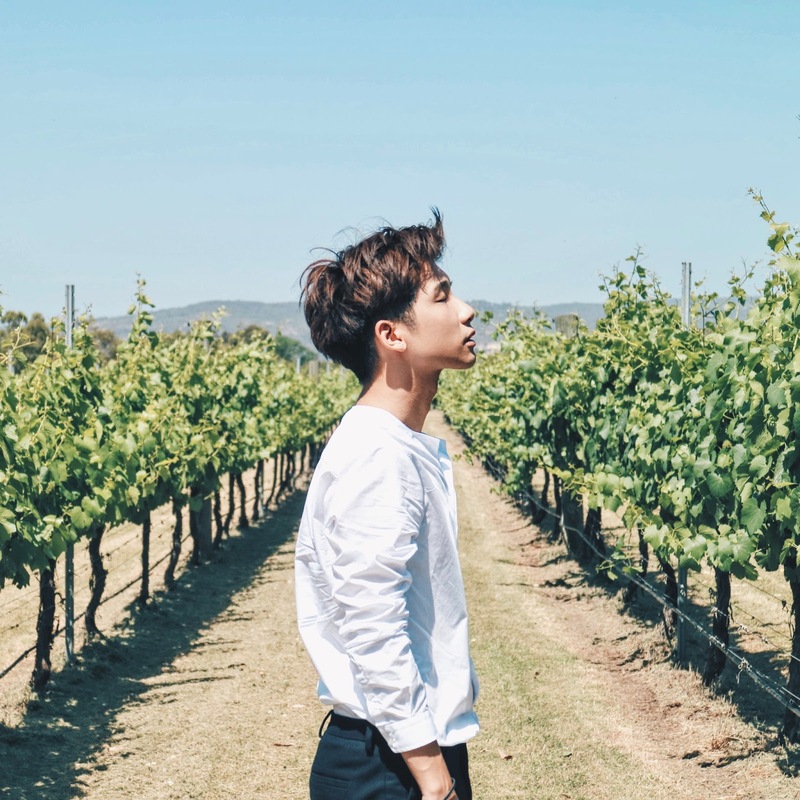 I think the appeals are perfect for young working adults (like me) or guys who just want to look good effortlessly due to the simple yet contemporary design. Another one that I like is KIRO, where we can find affordable smart suiting options. Looking for Panama hats or Pasotti canes? You can find it all at the men's level! They really have a wide range of accessories too which I think is very important because it adds the zest and zing to an outfit. 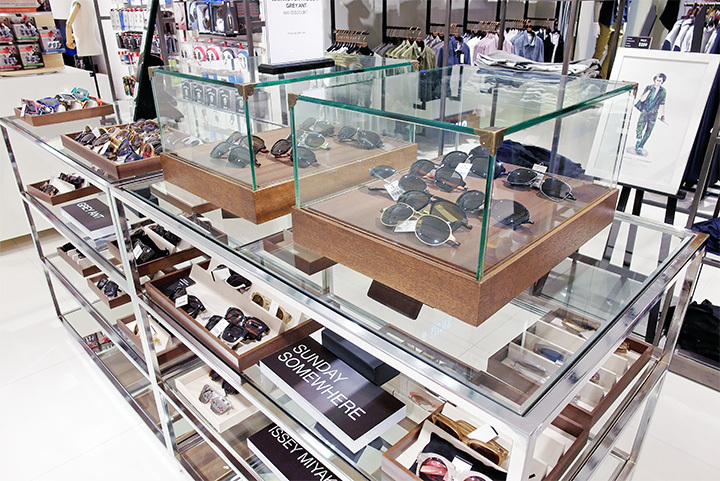 They also have a vast collection of sunglasses by international and local brands too. 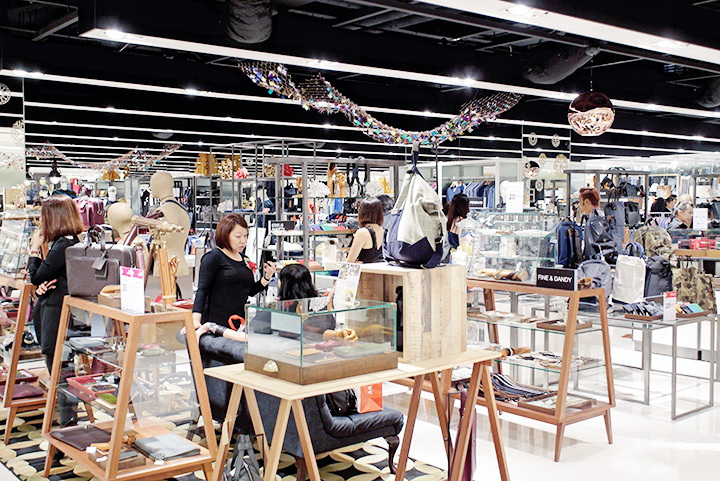 Love their store layout and design, it's so different that really enhance the shopping experience. For a well-rounded experience, they also have Samsung there to provide you with the latest technology needs. From street style to classic wear, you can find it all here! 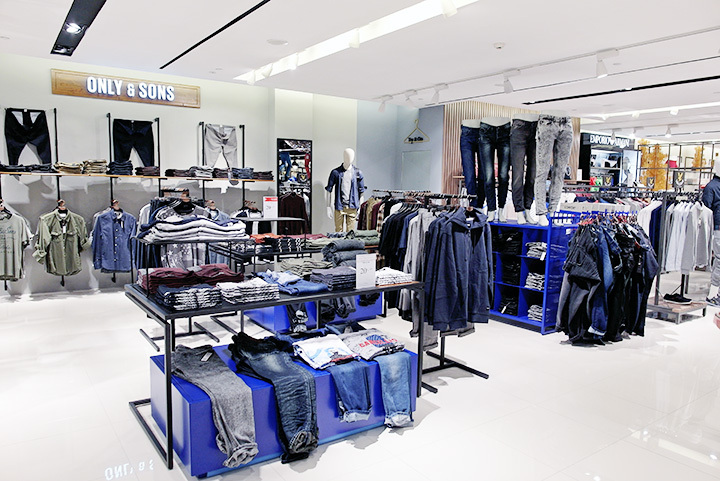 The Denim Bar is another new introduction to Metro's floors with a curated selection of denim styles. 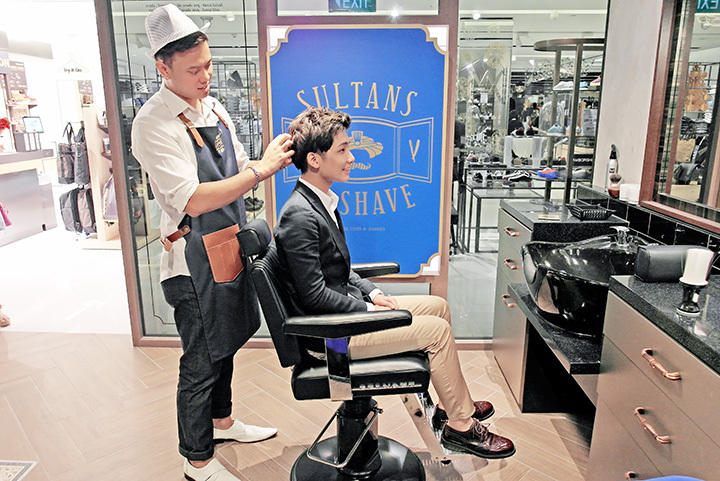 There was also a shoe shine service specially for the guests at the Men's fashion level during the official opening day! Thought I might just give it a try and it's first time getting my shoes shine! 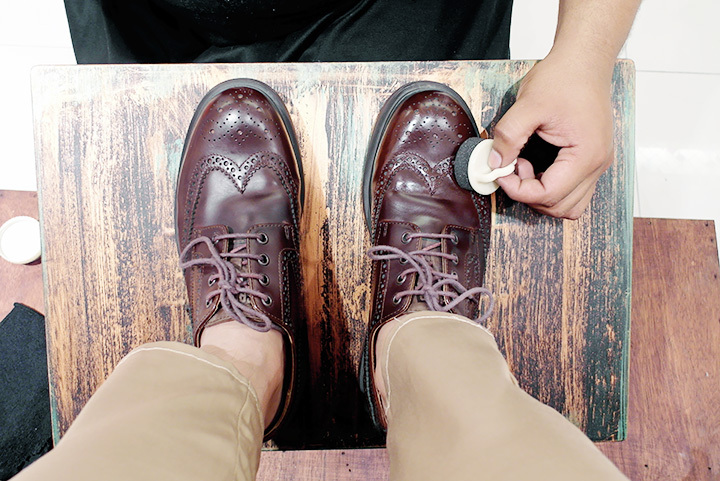 What an experience to shop and getting your shoe shine at the same time! Pretty awesome! The guy who is shining my shoes is so nice and sweet! Thank you! After it's done, I continued to shop around! There's really a lot to explore! 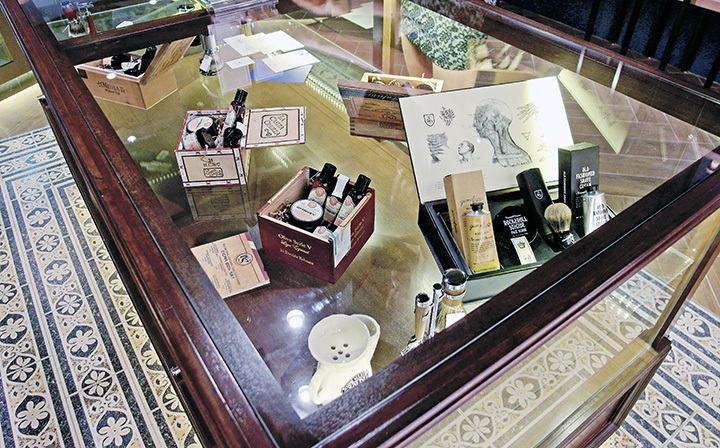 What's even better is that there is Sultans Of Shave there to complete our whole shopping experience! 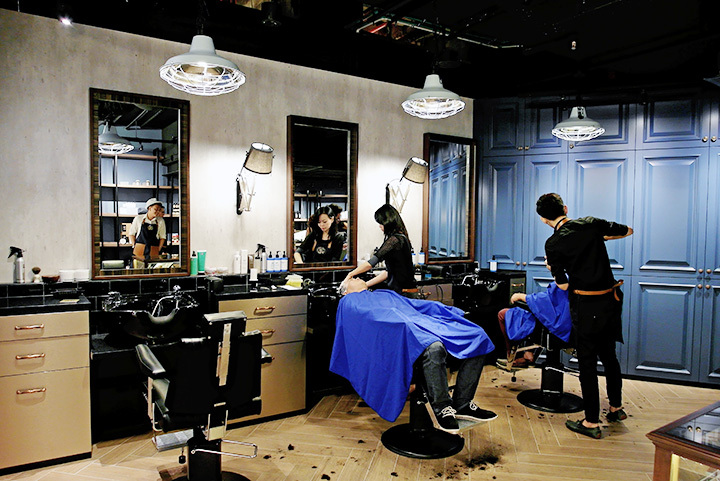 The one-stop grooming destination for men that offers barbering services in a relaxed and luxurious atmosphere of a private gentlemen's club. 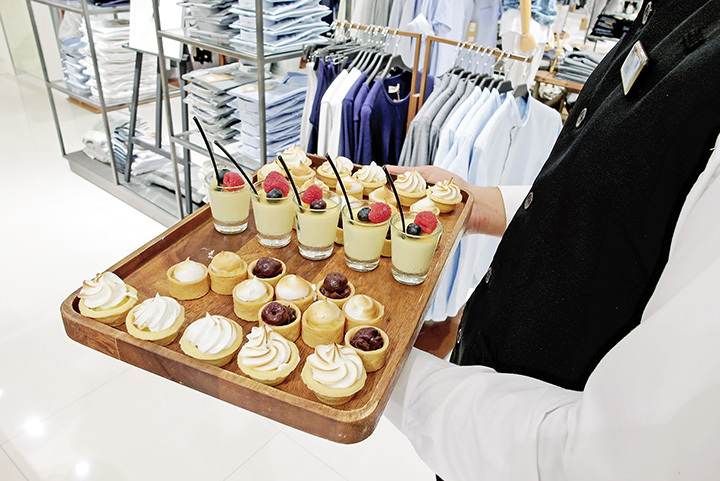 We can go from street fashion to classic shirt. You can also find all home essentials such as housewares, kitchen gadgets & accessories or even electrical & home appliances. There's also a fully equipped Bosch Show Kitchen there too, which includes live demonstrations by chefs! Not forgetting that there is also a Photo Booth at Level 5 for us to take pictures too! 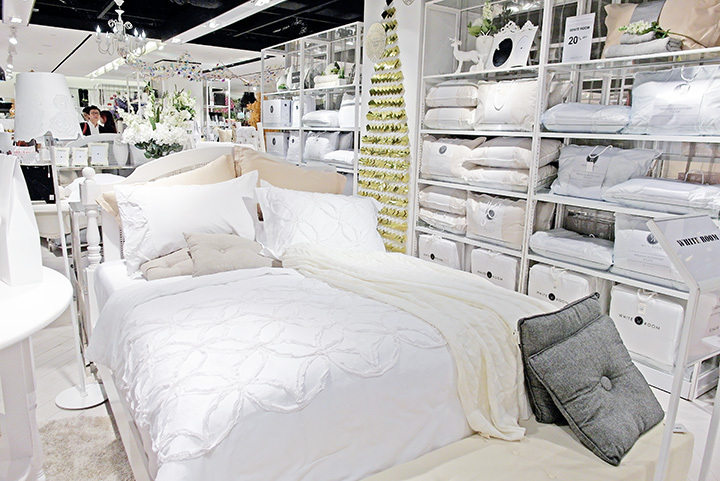 Level 5 is where you can find beds & mattresses, linens, bath and thematic home decor! Did you know? They have the biggest mattress department on Orchard Road with more than 100 bed? There are more than 80 exclusive mattress models and they also provide mattress firmness customisation and cleaning services too! It's definitely your one-stop shop for your full bedding solutions. 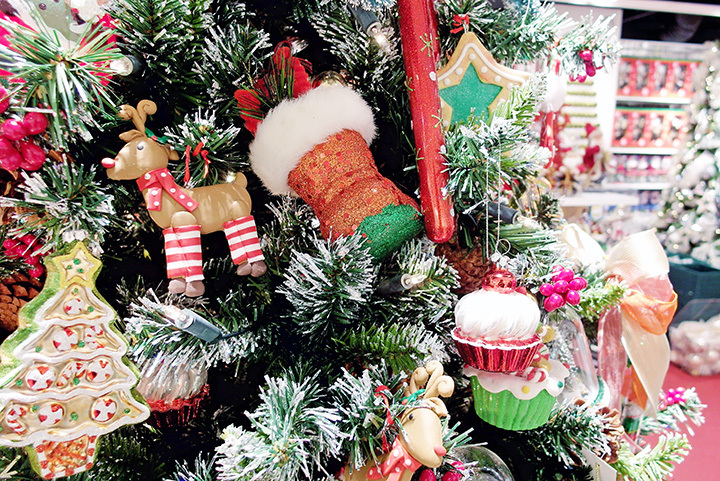 To usher in the festive season, it was previously filled with awesome Christmas decor for your home too! 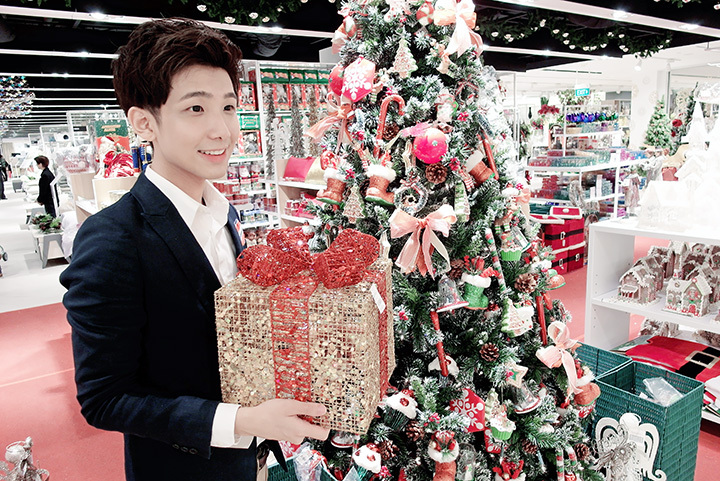 What a beautiful Christmas tree! It's one of the 5 themes by Metro: Candylicious! Also at Level 6, it is the kids' heaven filled with exciting stuff such as Disney princess carriage for photo taking, life-sized Transformer and also Iron Man action figure. Perfect for the kids to have fun while the parents do their shopping. There's also playroom, nursery and grooming for children too! How cute is that! I really feel that Metro Centrepoint is the one-stop shopping store for family and friends, where it literally caters to everyone! 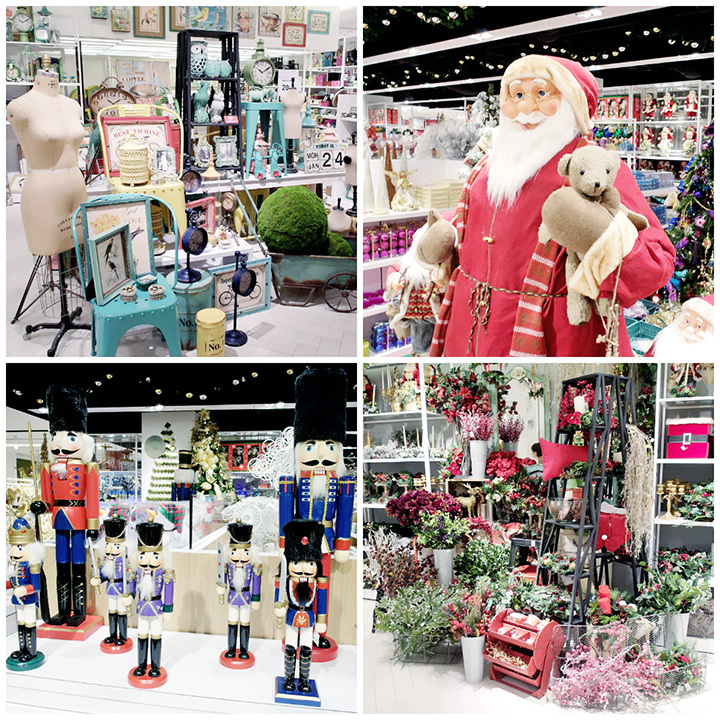 To celebrate the official opening of Metro Centrepoint, we are having an exclusive giveaway on my blog! One lucky winner will stand a chance to win a $50 Metro voucher just by commenting on this post with the reason why you want to visit the new Metro Centrepoint store! It's that easy! Ending off with this cool Metro’s manifesto video that you probably should check it out! 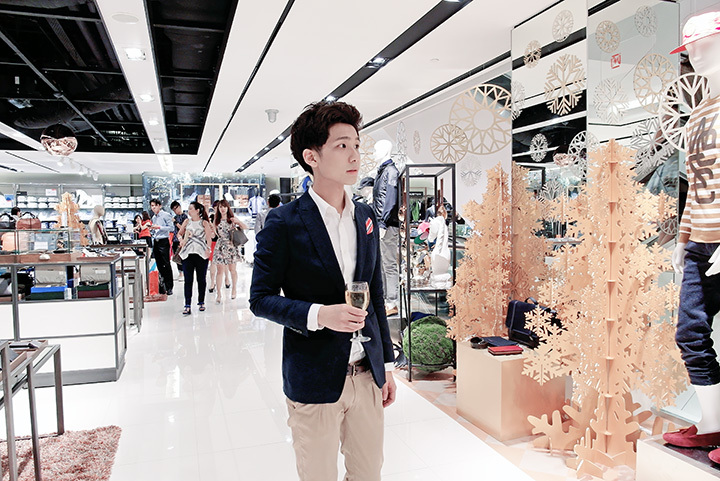 Since young my mum bring me to Metro to shop, now I still shop there. 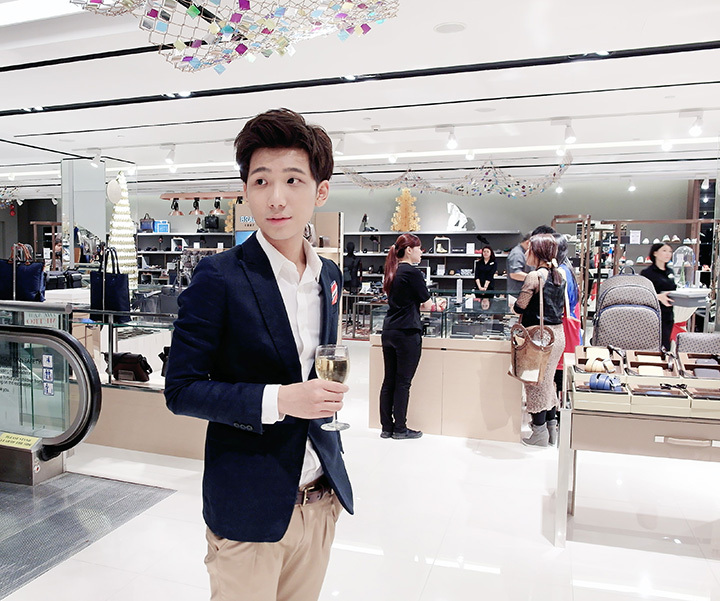 I will want to go see the new Metro store at Centrepoint with my mum and buy her things with the gift card. She is 55 years old now. i love u ben, pls let me win! Didn't know that there are so many services and variety of choices to chose from over at the new Metro Centrepoint store! (Probably because there isn't one over here at my area) Love all the facilities over there! Especially level 6 for my lil cousin who love toys!! He must be excited to go there as it is totally kids' heaven!! Not forgetting level 1 which provides beauty services such as the nail bar! Would love to try it out someday!! There are many Metro outlets in Singapore, but this one at Centrepoint stands out because of its facilities! Typical Singaporean girl, the place that caught my attention is definitely the nails section. What's better than having pretty nails after having to shop at Metro? (the thought of it is just wow) . Although I wish i was still a kid, so I'll be able to enter the playroom, having the time of my life, but on a brighter note, it's better as we won't expect any kids playing catching along the clothing area or having to worry they're lost. it's literally like heaven..on earth(haha)! Definitely will check the place out REAL soon!! I want to win to go the new kid on the new block, Metro's newest store at Centrepoint!! Wow! so happy to know that the new Metro outlet opened at Centrepoint, Orchard. 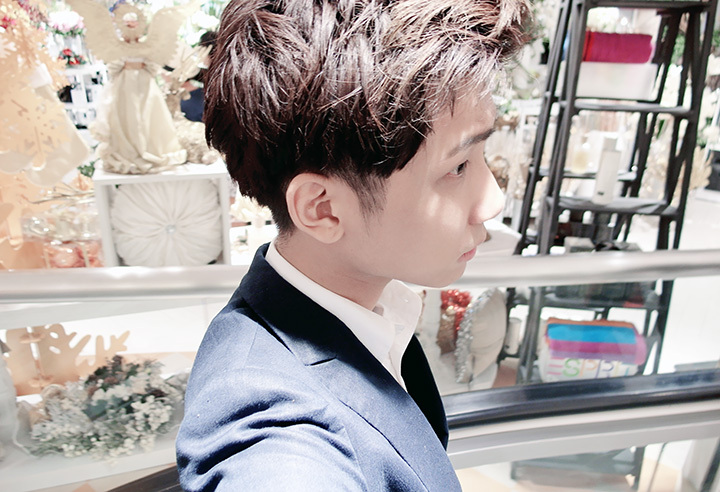 Definitely will shop for CNY stuffs with my family soon. Love the layout and design of this new outlet store. See you soon....my favourite shopping department store-Metro. SARINA: After reading your blog, makes me want to go shop at Metro,Centrepoint! Every level is tastefully done up! Love to explore and shop at Metro soon! Joanne Koh: Approximately one more month to Chinese New Year, I believe the new Metro at Centrepoint will be the best place for my family outing; shopping in getting ready for the year of sheep! What's best, across the levels, everyone will be able to find your paradise! Level 1 will definitely be my first stop! :) Metro; Taste of paradise and the smell of home! And the huge variety of goods there ensures there will be something suitable for the whole family/clique of friends! The previous few times I entered the Centrepoint Metro, I just had to spent at least 2 hours inside each time. This definitely shows how awesome the place is! 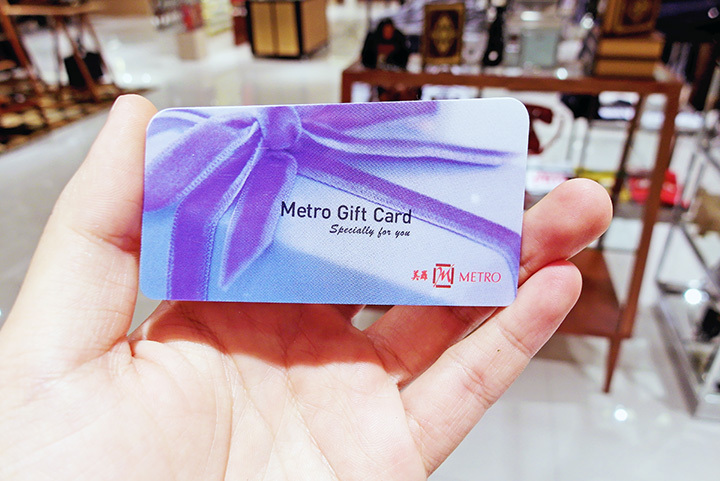 And with the gift card..I think I will end up spending more than 2 hours inside Metro eventually hahaha. I would like to shop at the new Metro Centrepoint because I can see how luxurious it is plus they have a wide selection of brands! It will be the ultimate shopping haven! 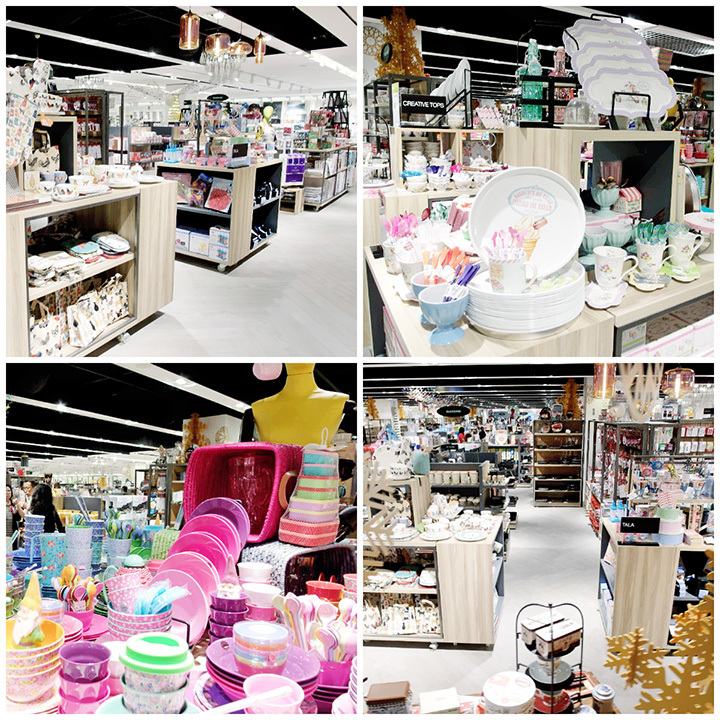 I want to visit the new Metro Centrepoint for Chinese new year preparation shopping because I would never be bored at Metro while my parents shop for new home accessories and I can go for a manicure session at the same time! this would be the perfect place to shop not only for CNY but for also for all other occasions since Metro got it all for you! i would love to experience it first hand and get to enjoy metro's new shopping destination! The new Metro Centerpoint looks so nice and huge!! Have been shopping at Metro since I was young and so would really like to visit it soon! !